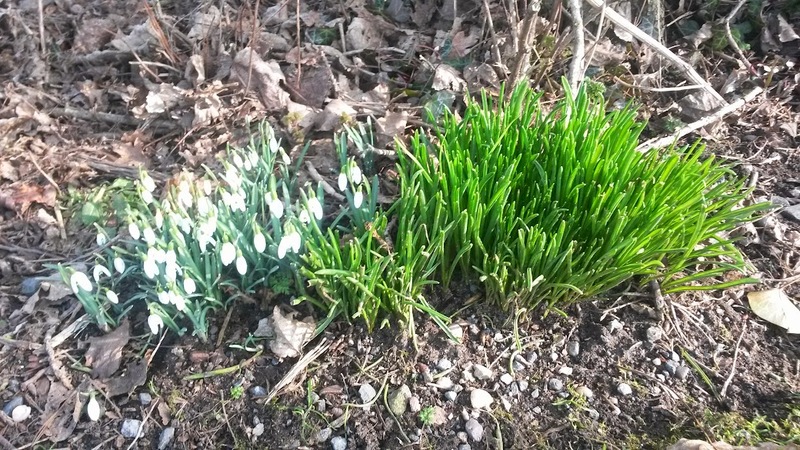 I was walking around the garden today and noticed that the snowdrops are now out and lots of bulbs are starting to come up. 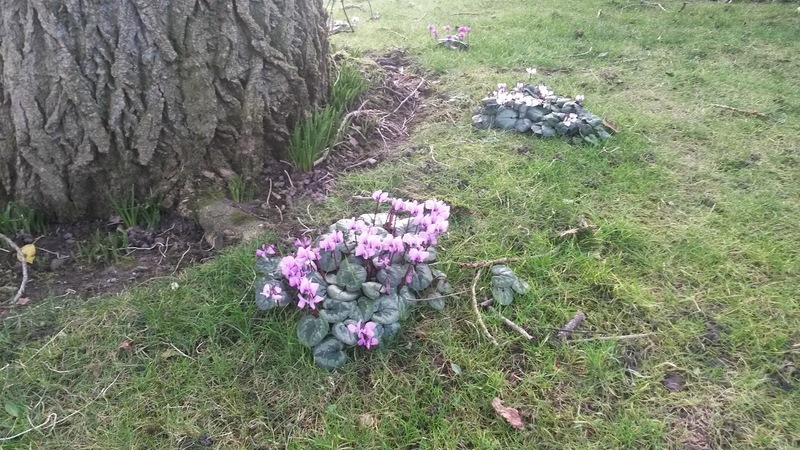 The hyacinths that I planted last year are all coming up and will look very colourful in a few weeks time. 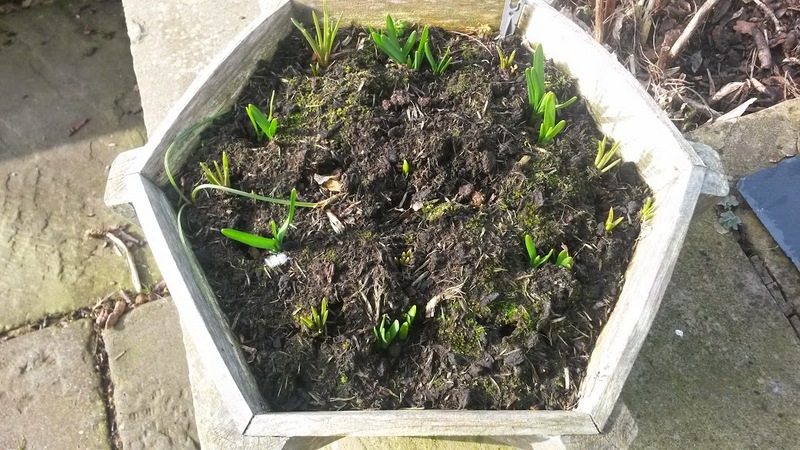 The wooden planters have a mix of bulbs in them and they are all starting to come through. 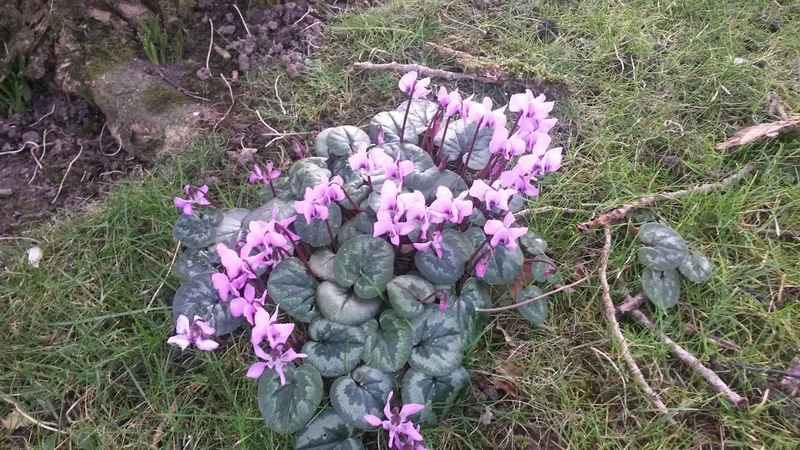 Mum planted mini cyclamen around the trees and over the years the clumps have got larger, they look really pretty and add a bit of colour to the garden.